West, Texas is not in West Texas. It's the exact halfway point between Austin and Dallas placing the small town in the center of the Lone Star State. You might have to pause a little longer between "West" and "Texas" when explaining to someone, but they'll still probably think you're talking about West Texas. You've probably heard of West, Texas in the news recently; there was an unfortunate explosion at a fertilizer plant that leveled nearly half the town. We were shocked and saddened to hear about it, especially since we'd driven through just a month before. But onto happier things, like the Czech Stop. 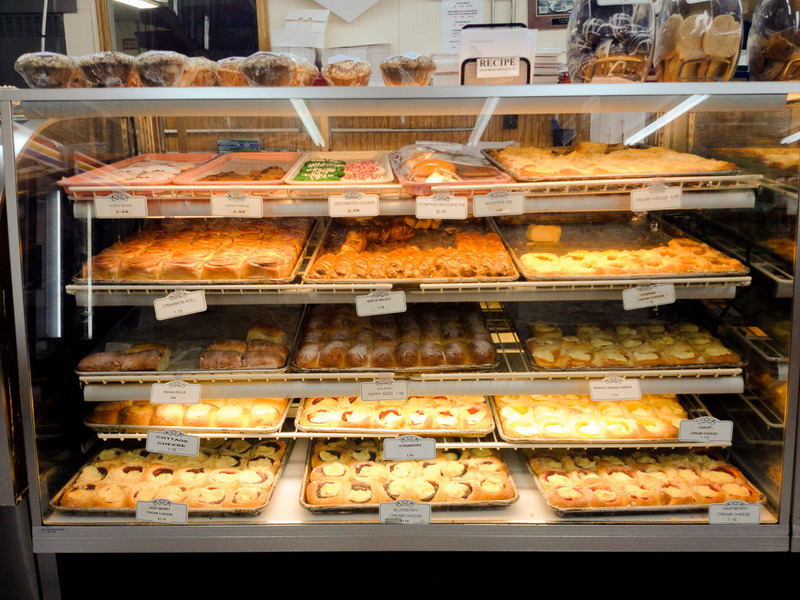 Just off I-35, there's a Czech bakery that makes all kinds of kolaches, a doughy pastry with a sweet or savory filling. Why Czech? There's a huge population of Czech immigrants in West; they came over to Texas in the 1880s, following the promise of cheap, fertile land and have flocked there ever since. Thanks to Sarah Z. 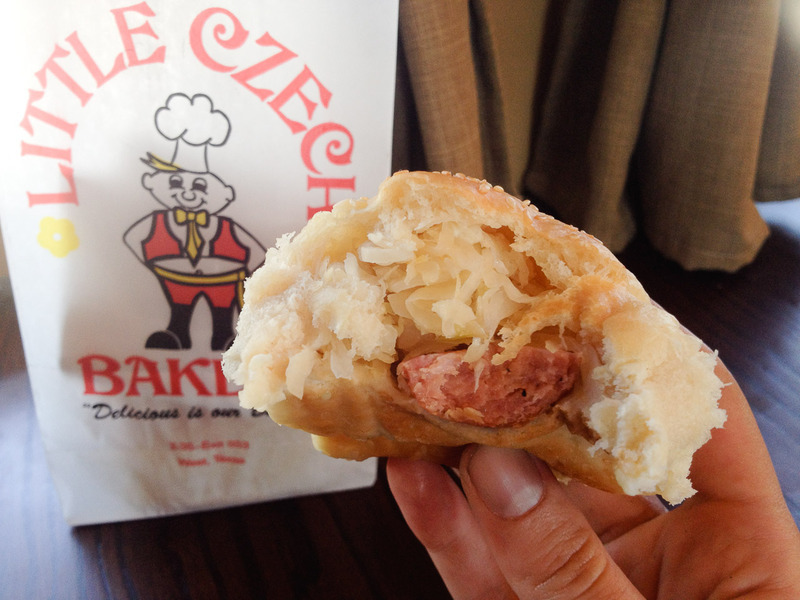 's suggestion, we stopped to pick up some kolaches at the Czech Stop just in time for lunch. Inside, they sell all kinds of Texas souvenirs; shot glasses, straw cowboy hats and locally made peach salsa. There's a cooler in the back filled with Eastern European sausages to take home. Along a whole wall, there are glass cases stuffed with about 30 different kinds of kolaches alongside other pastries, sandwiches and salads. We chose three savory; one with kielbasa and sauerkraut stuffed inside, one called a "hot chubby" with sausage and cheese, one just kielbasa. And one sweet, more of an open-faced danish topped with raspberry jam and cream cheese. The dough was pillowy and soft, fillings plentiful and mouth-watering. We were left wanting more. 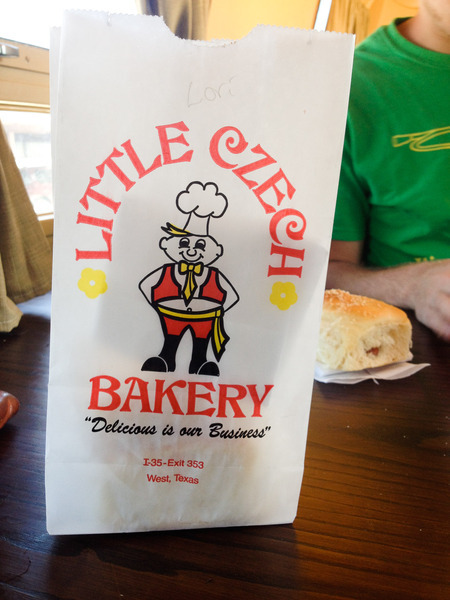 We hope, for the sake of this small Texas town's residents and the people passing through with a hunger for Czech goodies, that they'll recover from tragedy and continue live up to their reputation as the "Home of the Official Kolache of the Texas Legislature". Special thanks to Sarah Z. 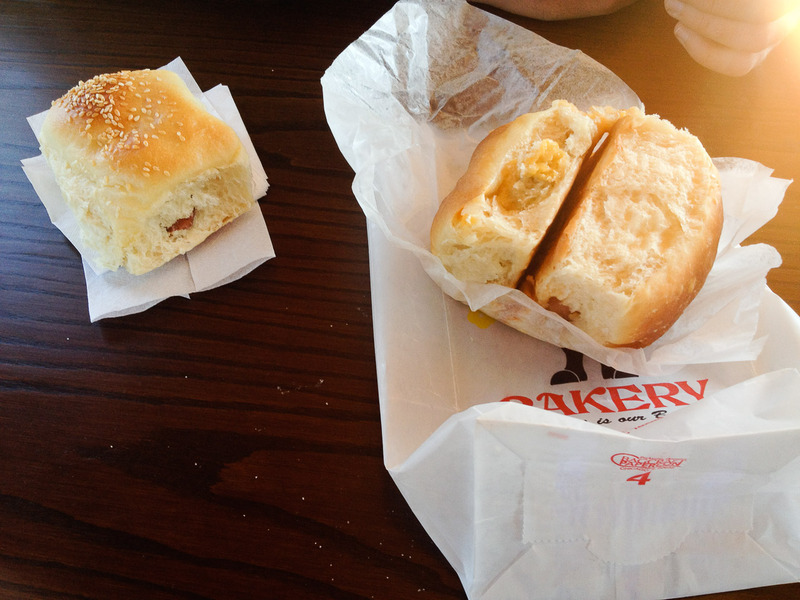 (who suggested Eat authentic kolaches) for making this blog post possible!